Be sure that your drinking water is as safe as possible with comprehensive filtration services provided by All County Water. We use the latest technology and methods to filter your residential, commercial or industrial water to ensure it is safe and usable for all purposes. Don’t put your health or well-being at danger any longer and have your water thoroughly checked and filtered. Have you noticed your water smells funny, contains sediment, is staining, or leaving calcium build up on your fixtures? We sell filtration, chlorination, UV and softener systems and can custom design all filtration and softener systems to meet your needs. Softening and filtering the water that flows into your home or business is a crucial job, so make sure you are relying on the right company to get the job done. 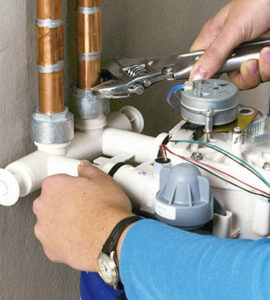 All County Water is experienced, licensed and insured. We treat each and every water filtration and softener case individually to get the best results for you and to ensure you’re getting the safest water.